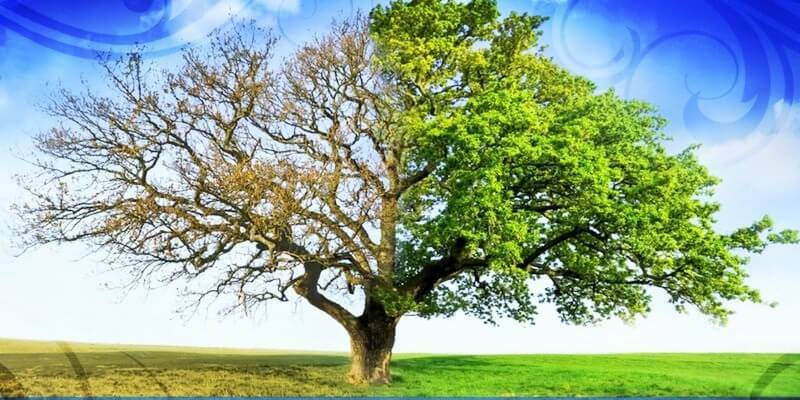 Home » Optimism & Mindset » What is The Difference Between Positive Psychology and Mental Hygiene? Some commenters such as Becker & Marecek, 2008 have pointed out the similarities between positive psychology and earlier social movements as a criticism that positive psychology is not revolutionary. One of these social psychology predecessors is the mental hygiene movement which arose in the early 1900s. While there are some surface similarities between the mental hygiene movement and positive psychology, further scrutiny makes it clear that their goals are fundamentally different in terms of scope, goals, and reasoning. Before we can compare positive psychology and the mental hygiene movement, it is crucial to first discuss the mental hygiene movement itself. The National Committee of Mental Hygiene (NCMH) was founded in 1909, in part as a response to the bad conditions of the then mental asylums, and also as a response to the high prevalence of mental illness in the U.S. (Cohen, 1983). The NCMH was founded with the purpose of understanding mental illness and publicizing the social and financial threat that mental illness posed on society. Around the 1920s, the mental hygiene movement increased the scope of its goals to include the prevention of mental illness, and this is when the movement started gathering more interest in the community at large. The main idea behind the mental hygiene movement was that personality type determined whether someone would become maladjusted and mentally ill or remain a well-adjusted, productive member of society. In fact, mental hygienists believed that mental illness was primarily a personality disorder. The ideas behind the mental hygiene movement were founded in the combined works of behaviorist John B. Watson, as well as the psychoanalytic teachings of Sigmund Freud. Proponents of mental hygiene believed that someone’s personality could be shaped and changed to avoid mental illness and make that person more useful to society. It soon became clear to mental hygiene advocates that the best time to intervene and shape someone’s personality was during childhood and adolescence. Since children spend so much of their days in the classroom, mental hygienists realized that targeting schools was crucial for their goals. This led to what Cohen (1983) describes as the “medicalization” of education in the United States, where psychological teachings started informing every aspect of schooling. For example, Cohen (1983) claims that schools started becoming responsible for the personal development of children and not just their formal education. The mental hygiene movement is in part responsible for schools working with parents to help raise children to be functional members of society rather than just teaching them about various academic subjects for which we can be grateful. Mental hygienists attempted to persuade teachers to change their attitudes and start seeing “problem behavior” in the way the hygienists did, “not [as] a sin, but a symptom”. They believed that the way to influence children was by changing the attitudes of their teachers, rather than attempting to legislate reform into the schools. Hygienists believed that if teachers were on board, they could start changing their students’ personalities for the betterment of society. While some may take offense at the mental hygiene’s movement pathologizing of certain behaviors in schools, it was better than the alternative at the time. In fact, the mental hygiene movement rose as a competitor of sorts to the eugenics movement (Cohen, 1983). Where eugenics looked to rid the world of mental illness by attempting to control the propagation of certain genes, the mental hygiene movement believed that people could be “saved” from mental illness through preventative measures focused on childhood personality development. To briefly summarize, the mental hygiene movement was a form of social control which aimed to shape people’s personalities. It is important to realize that in the temporal context of its development it was a progressive movement which challenging previous beliefs of mental illness. For example, mental hygienists believed that if they could just reach children (and adolescents) early enough, they could avoid having to write them off as juvenile delinquents and abandon them. That said, it is crucial to understand the differences between positive psychology and the mental hygiene movement. Let’s begin with some of the similarities between the two ideas. On the surface, positive psychology and mental hygiene seem similar because they both focus on people who are not mentally ill, in contrast to how “traditional” psychology usually focuses on mental illness diagnosis and treatment. Both positive psychology and the mental hygiene movement recognize the importance of schooling and how education has long-term effects on how children develop. Both movements also concern themselves with interventions that can help make somebody’s life better in some way. In other words, the proponents of the mental hygiene movement and positive psychologists both seem to be mostly focused on helping the average person through social interventions. 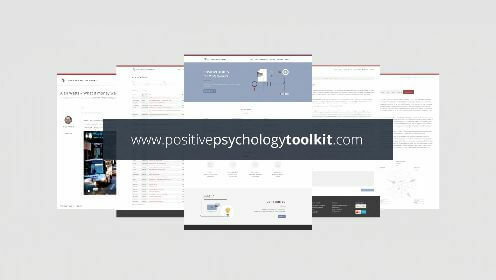 There are some mental hygiene developments which clearly inform the positive psychology movement. For example, the British Medical Journal (1930) claimed that because of the mental hygiene movement, social workers became invaluable resources to psychologists. By a similar token, doctors started to become social workers of sorts, as awareness of the mental well-being of their patients started becoming a societal responsibility, with physical health was no longer the only health matter of importance. Before mental hygiene, the British Medical Journal believed that mental health was only considered to be of interest if it was already an apparent and prevention was not part of the protocol. 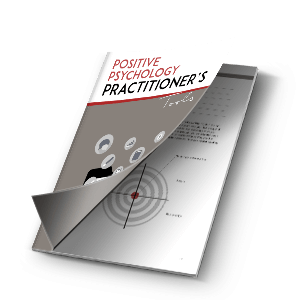 These developments are relevant to the success of positive psychology, as positive psychologists share many goals with social workers that they may not have shared with most psychologists in the early 20th century. For example, turn-of-the-century psychologists would probably be mostly focused on pathology and unique cases of mental functioning, as opposed to social workers, mental hygienists and positive psychologists who are interested in a preventative focus with the population at large. While the similarities between these two movements are clear there is are definite differences in scope, reasoning, and justification. The main goal of the mental hygiene movement was to mold people’s personalities for the sake of avoiding the development of mental illness whereas the main goal of positive psychology is to increase an individual’s overall level of well-being. This is a crucial difference, as the mental hygiene movement might consider the development of mental illness to be a failure in reaching their goals, such that someone who was already mentally ill was actually beyond their scope. Positive psychology, however, is not strictly limited to prevention but rather is interested in increasing the well-being of all people including those with mental illness. Thus treating someone who is suffering from depression is well within the scope of positive psychologists. This shows that positive psychology has a more inclusive focus than the mental hygiene movement and practices a more welcoming approach to those already suffering from mental illness. Positive psychologists may also come off as less judgmental than mental hygienists, as their goal is not to pathologize and eradicate certain behaviors. Instead, positive psychologists simply hope to identify low levels of well-being and figure out ways to increase them. Beyond the matter of scope, there is also the difference between these movement’s reasoning. For example, the mental hygiene movement seemed most interested in ensuring people avoid mental illness for the sake of becoming functioning members of society. Some members of the mental hygiene movement even had visions of striving for utopia, as “many hygienists envisioned a society free of all problems” (Cohen, 1983). This shows that the mental hygiene movement was ultimately a form of social control, as its goal was the avoidance of mental illness for the sake of society. The end goal of positive psychology, however, is to increase individual well-being for its own sake. That is, the reason positive psychologists aim to increase people’s well-being is so that those people can live better lives, rather than changing people’s behaviors as a means to an end. While increasing individual well-being can probably indirectly lead to a better society, positive psychology is more focused on the individual than the mental hygiene movement, which was ultimately focused on the betterment of society around that individual. To summarize, mental hygienists and positive psychologists would both agree that the field of psychology should not focus all its energies on the mentally ill. The Mental Hygiene Movement, however, will not address people with mental illness since the main goal of it is the prevention of mental illness through personality development. The Positive Psychology Movement, on the other hand, can most definitely benefit those with mental illness as it is has a preventative as well as a treatment approach. In fact, it seems safe to say that the main link between mental hygiene and positive psychology is a drive towards understanding mental illness as a preventable and multidisciplinary area of focus. Mental Hygiene. (1930). The British Medical Journal, 2(3632), 255-256. White, W. (1930). The Origin, Growth and Significance of the Mental Hygiene Movement. Science, 72(1856), 77-81.